Tywaun Terrell Cannon, a 44-year-old black man, was shot and killed Thursday, Feb. 14, in the 1300 block of West Florence Avenue in Vermont Knolls, according to Los Angeles County medical examiner-coroner’s records. Shortly before 6:45 p.m., Cannon was in the parking lot of a liquor store when a person walked up behind him and shot him, said Los Angeles Police Det. Dave Garrido. 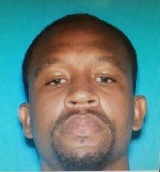 The gunman ran north on Normandie Avenue. Cannon was pronounced dead at the scene at 6:54 p.m., according to coroner's records. Ommer Ganaway, a 90-year-old black man, died from blunt force trauma Friday, March 2, near 8032 S. Vermont Ave. in Vermont Knolls, according to Los Angeles County coroner’s records. A person in the area found Ganaway on the sidewalk around 5:30 a.m. and called police, Los Angeles Police Det. Chris Barling said. Ganaway was pronounced dead at the scene at 5:45 a.m., according to coroner’s records. Police think Ganaway was walking home from a friend’s house around 3 a.m. when he was confronted by a person who beat him and took a duffel bag he was carrying, Barling said. Ricardo Cruz-Mendoza, a 43-year-old Latino, died Wednesday, Feb. 1, after he was shot in the 900 block of West 74th Street in Vermont Knolls, according to Los Angeles County coroner’s records. About 11:30 p.m. on Jan. 31, Cruz-Mendoza and Fidel Campos, 24, were walking in an alley when they were shot, Los Angeles Police Det. Eric Crosson said.